Beginning from an examination of how the first gardens created in Kyoto by seventh-generation landscape gardener Jihei Ogawa (1860 -1933) were made possible by the construction of the Lake Biwa Canal—a national civil engineering project following the Meiji Restoration (1868) that made the eastern part of the city newly attractive to powerful patrons—Hiroyuki Suzuki explores the networks of politicians, industrialists, aristocrats, and connoisseurs that propelled Japan’s modernization and what these reveal about the country’s development. Ogawa benefitted first from the patronage of Meiji era Prime Minister Aritomo Yamagata. And then also from that of industrialist Sumitomo Tomoito; former Prime Minister Marquis Kinmochi Saionji; Koyata Iwasaki of the Mitsubishi conglomerate; and many other influential people who invited him to landscape their residences and retreats not only in Kyoto but also in Osaka, Tokyo, and elsewhere. 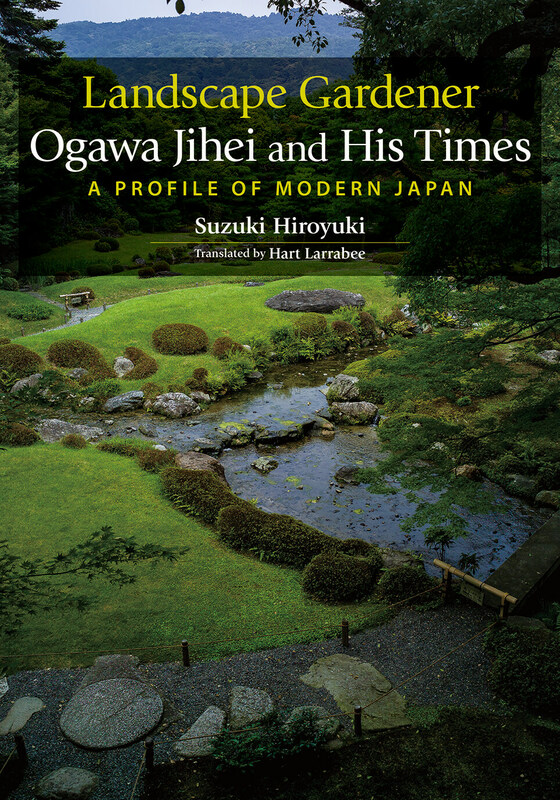 Rather than bending the style of European gardens to Japanese tastes, or blending foreign and domestic styles, Ogawa’s gardens were firmly grounded in Japanese landscaping traditions, which he evolved to fit the lifestyles of those who were driving the country’s rapid social and technological change. Japan’s encounter with the West brought a reappraisal of and new appreciation for Japan’s aesthetic traditions. Those who made their fortunes by adopting Western systems and technologies engaged in a new connoisseurship of Japanese style, amassing great collections of Japanese art, erecting impressive Japanese- and Western-style residences, and hiring Ogawa to landscape their Japanese gardens. Ogawa’s gardens, so beloved by those who drove Japan’s Westernization from the Meiji (1868 -1912) through the early Showa (1926 -1989) period, satisfied their desire to express Japanese style in a way unbound by tradition. 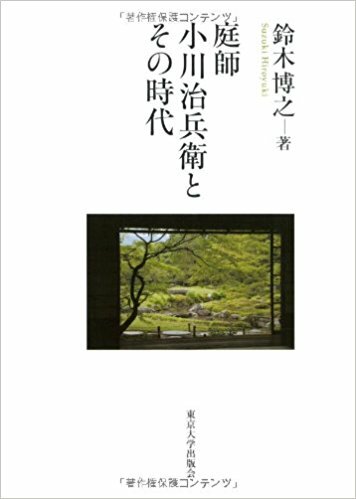 Written by an author with an acute understanding of architecture, this book, winner of the Architectural Institute of Japan Book Award, looks at both the evolution of the modern garden in Japan and nature of Japan’s modernization itself. Hiroyuki Suzuki (1945-2014) was a professor at the Graduate School of Engineering, University of Tokyo from 1990 to 2009. He was named professor emeritus at the University of Tokyo. Publications include Tōkyō no geniusu roki (Genius loci in Tokyo, 1990) and Toshi no kanashimi (The sadness of cities, 2003).